With a history spanning more than a century, electricity has, without a doubt, played a pivotal role in shaping the transformation of Singapore into a modern, industrialised nation. 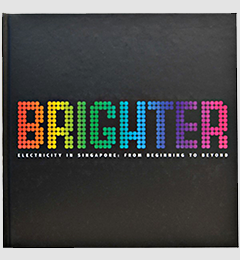 This commemorative book, titled "Brighter. Electricity in Singapore: From Beginning to Beyond", invites readers to discover the fascinating history of electricity in Singapore. The book also includes recollections by pioneering electrical engineers such as the late Mr Lawrence Estrop. He recounted how the Japanese relied on Singapore's technical expertise to fix and run the distribution network during World War II. "There was nobody with experience left… When there was any breakdown they had to call us. It was sink or swim." Another interesting chapter in the history of Singapore's electricity sector is its liberalisation process, the setting up of EMA as its regulator and power system operator, and the divestment of the power generation and retail companies. 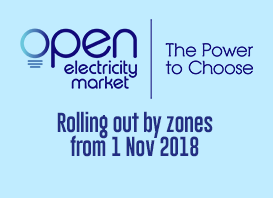 Then Chairman of EMA, Chiang Chie Foo explained that EMA would "provide the necessary focus to the regulation of the liberalised electricity and gas industries, enhancing competition and maintaining a level playing field". Hard copies of the book are available at the National Library and its branches for public browsing. The digital copy is now available for downloading.